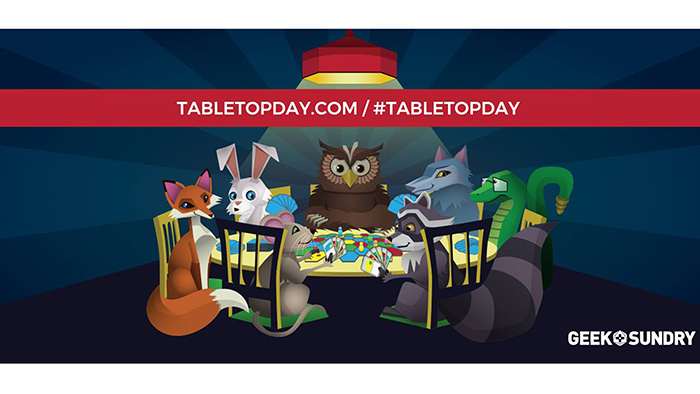 It's time for International Tabletop Day! We'll be celebrating this year in style, with giveaways of exclusive promos, limited edition items, and full-fledged games! Join us as we play some of our favorites and raffle off a few of the chart-toppers from 2017! International Tabletop Day is our day to celebrate board gaming, so come join us as we play some of our absolute favorites. Feel free to fire up demos of your favorite games too! Come check out Azul, Kingdomino, Century: Spice Road, Clank! In! Space!, Ethnos, and plenty of others! We'll also have pizza and sweets to fuel our all-day gaming session, so bring an appetite! We'll be firing off raffles every half hour, so get here early!